Marvelous, magical, monumental, mysterious; Marrakesh. The Moroccan city has, for years, been a part of international folklore, and it’s a name known across the world. But, you might be one of the millions of people who still haven’t discovered this enchanting Arabic city. Marrakesh is hiding so many wonderful secrets beneath the surface, just waiting to be discovered. We found this enigmatic and elusive city one of the true highlights of our recent trip to North Africa. It’s surreal, unique, and fascinating, and definitely a city you need to have in your life! Consider the vibrant contrast of this amazing city. The powdery, snow-kissed peaks of the High Atlas Mountains standing tall in the distance, watchful guardians of the great city. Combine this with the red, sunburst backdrop of the Sahara Desert, snaking away across the horizon. This backdrop of exotic mystery is what greets you when you step off the plane in Marrakesh. Come with us now, and let’s unravel the magic and mystery of this far-flung city that sits, undiscovered to you, in a unique corner of the world. 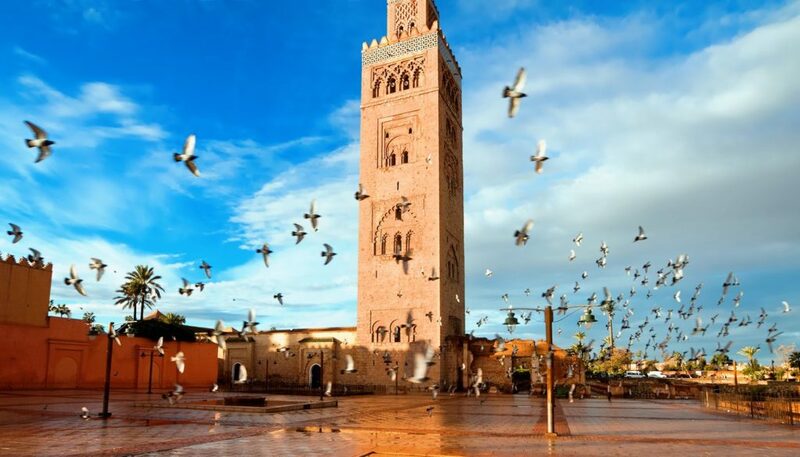 But, it won’t be undiscovered for much longer, as now is the time to dive headfirst into the beautiful and dazzling Marrakesh. The history of Marrakesh is one that you may not be familiar with, but it’s incredibly important. Way back when the city used to be a port of call for the camel caravans traveling across the area for trade. The Red City is also one of the most iconic and important Muslim cities in the world. There are several mosques and palaces here from the height of the Moroccan Empire, and these are well worth exploring and going to see. We would also recommend you check out the iconic Tombs of the Seven Saints – the tombs of the 7 patron saints of Morocco, visited by pilgrims every year. One of the things to learn about Marrakesh is that it’s definitely a place to come if you want sensory overload – this doesn’t have to be a bad thing. There are so many unique sights, sounds, and smells that you will experience here, and it’s probably a world away from what you’re used to. 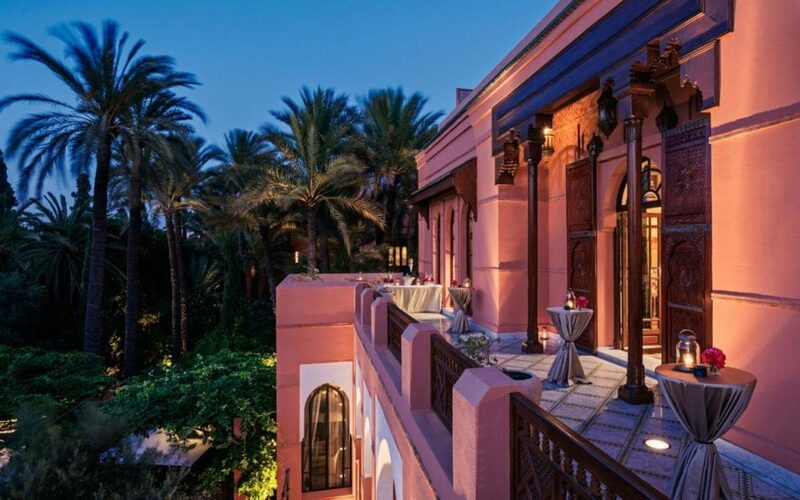 Throbbing with energy, day or night, Marrakesh is one of the most vibrant hotspots of Morocco, and ideal for those who find quiet, isolated vacations dull. 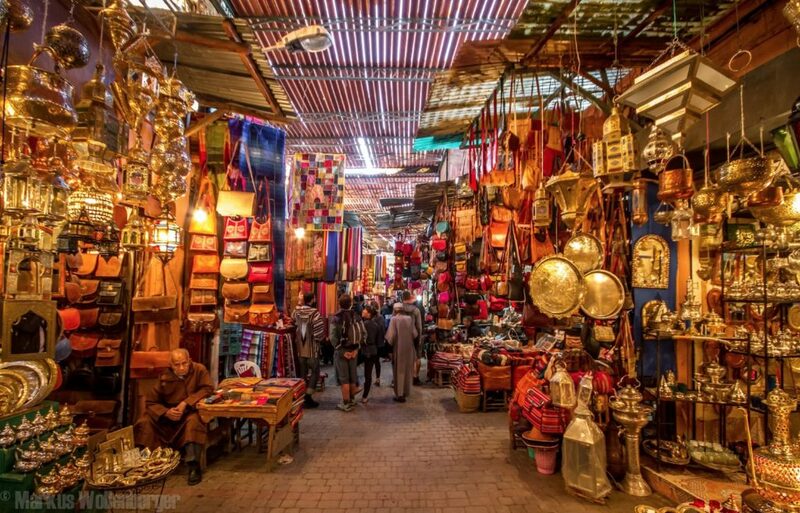 Whether it’s the echo prayers, the crescendo of street vendors, or the scintillating smell of spices on the air, you will delight your senses when you visit Marrakesh. Food shouldn’t be eaten, it should be experienced. At least, that’s our view on the matter! The great thing about Morocco is that the food here is certainly an experience for everyone. Marrakesh has a vibrant and enticing food scene, with plenty of restaurants and stalls offering breathtaking food. Harira, tagine, and couscous are all examples of some of the sensational foods here, foods that will give you an eating experience like no other. If you really want the experience of chowing down on some of the finest cuisine on Earth, you’ve come to the right place! Marrakesh is one of the finest cities we’ve been to, and one of the reasons for that is that there is so much to see and do. If you want history, culture, food, and art all in one giant melting pot of unforgettable wonder and magic. If you visit one city this year, please, make sure it’s Marrakesh.